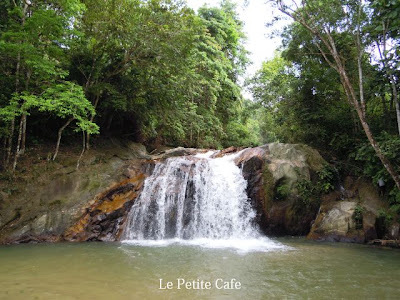 Deepavali was a holiday but I woke up early for a trip to Serendah Waterfall. Was a little bit disappointed when all I saw was this main fall. There were also a playground nearby and a shelter in front of the pool; the whole place looks like a dilapidated resort - not the kind of natural place I wanted. However, the view of the main fall was not bad. The water was not deep and at my height of slightly over five feet tall, the water reached my chest at maksimum level. At least I have the opportunity to experience the tranquility behind the waterfall. The only sound I could heard was the water rushing down yet it still feels quiet. It was a nice change from all the noise in the city. 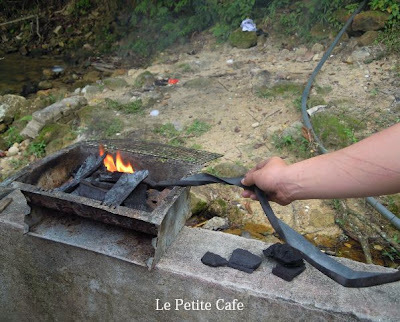 We have a BBQ picnic and the guys used a small piece of tyre to start the burning of the charcoal. The smell of rubber burning was horrible! 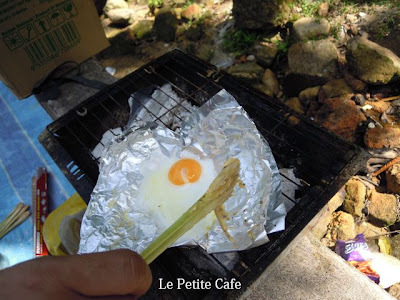 My friend showed us a new way to cook egg! He was using a lemongrass stick as a spatula. It's nicely DONE! Not sure the taste though, did not try. But someone bought a pot for Maggi mee and they used it to boil some eggs. 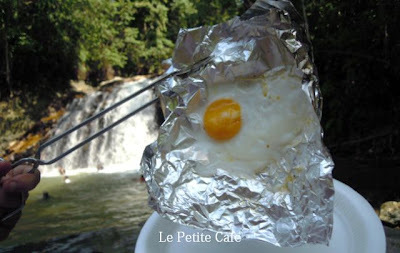 We peeled the shell off and ate it while chest-deep in the water! Look at the plastic bottle. I hate to see this. 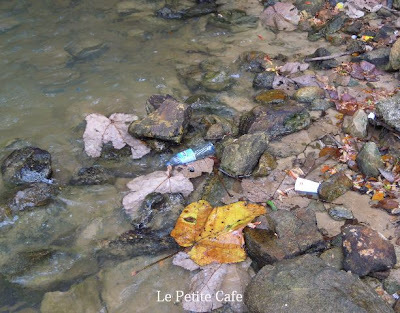 Please leave only your footprint behind when you are in the nature. Who's going to pick after your rubbish? !